Jumbo Loans exceed the maximum loan amounts established by Fannie Mae and Freddie Mac conventional loan limits. Rates on jumbo loans are typically higher than conforming loans. Jumbo Loans are typically used to buy more expensive homes and high-end custom construction homes. Typically Jumbo Loans require a higher down payment than traditional loans. Once a loan amount exceeds $453,100 it does not fit the traditional Fannie Mae Criteria and goes from a conventional loan to a Jumbo loan. Jumbo loans are not backed by Fannie and Freddie the same way traditional conventional loans are. So there are additional guidelines associated with them. What Are Jumbo Loan Limits? +A number of other states and Puerto Rico do not have any high-cost areas in 2018. Above is a graph showing the loan limits in 2018. What Additional Requirements Are Needed For a Jumbo Loan? While you can do as little as 3% down with a regular conventional loan, Jumbo loans will require up to a 20% down payment. Occasionally lenders will allow a smaller, 5-10% down payment. A better credit score, usually above 720 is going to be required when purchasing one of these loans. Higher credit scores indicate a borrower is more able to handle their responsibilities and thus pay back the loan easily. While you can usually get away with minimal reserves with a traditional conventional loan, you cannot with a Jumbo. Lenders will likely want to see 6-12 months additional mortgage payments set aside in a 401(k), IRA, or savings account. The rates are not the same on Jumbo loans as they are on regular loans either, historically they could be as much as .75% higher. The last several years we have seen them come in line with normal rates. 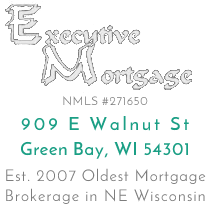 They come in adjustable rate and fixed rates, as well as 15 year terms. If you are in a strong financial decision, have good money reserves and low debt you could consider applying for a Jumbo loan if you want a larger home that exceeds the threshold for normal guidelines. Remember you can always ask a professional here as well.